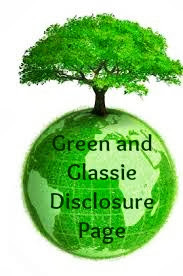 Green and Glassie: Barking Wednesday ~ Crate or No Crate? Barking Wednesday ~ Crate or No Crate? Hi….I wanted to make sure to tell you upfront that I have received no product or compensation to promote this informational website. I do so because I LOVE to learn and want to share their great info with others! Thanks for visiting. I am a crate user to train puppies ~ my daughter is not!! Who is right? I totally believe that it is a personal decision to crate or not to crate. I like having a crate to keep the puppy safe from our home and also to keep my home safe from the puppy. I do not believe that the crate should be used as punishment or as a means to leave the dog for long periods of time. The crate to me ~ should be a SAFE ZONE for the puppy. My daughter believes that keeping the puppy in the crate is not the way to train. King was trained using a crate - he is a very well adjusted dog that is loved very much. Dozer was trained with no crate and he too was a very well adjusted dog that was loved. There is no right answer. door in front. They're lightweight, portable and are easily taken apart for storage or travel. Some of them come in decorator colors! Most plastic crates meet federal regulations for airline travel. The quality of plastic crates varies between manufacturers and you'll need to get one sturdy enough to resist chewing. 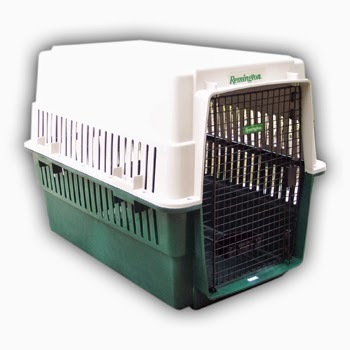 Wire crates are very popular and depending on your dog's needs, may be a better purchase than plastic. 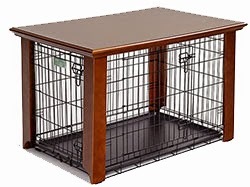 You'll need to shop more carefully for a wire crate because quality and style vary greatly. Some of them are flimsy and not meant to be collapsed for storage. Others, advertised as "collapsible", do so only with great difficulty and don't fold down to a convenient size. Look for sturdy crates with heavy gauge wire that are easily folded down into a "suitcase-style" shape for transportation and storage. Although they aren't approved for airline use, I prefer wire crates for my heavy-coated Chows because they offer better ventilation. A crate need only be big enough for the dog to stand up, turn around and lie down comfortably. I like them to be just long enough for my dogs to stretch out on their sides to sleep. Growing puppies can be a problem when buying a crate. Not everyone can afford to buy a new one for each stage of growth but too large a crate can make a puppy harder to housebreak. Fortunately, dividers are available for some brands so you can shrink and expand the puppy's space as needed. 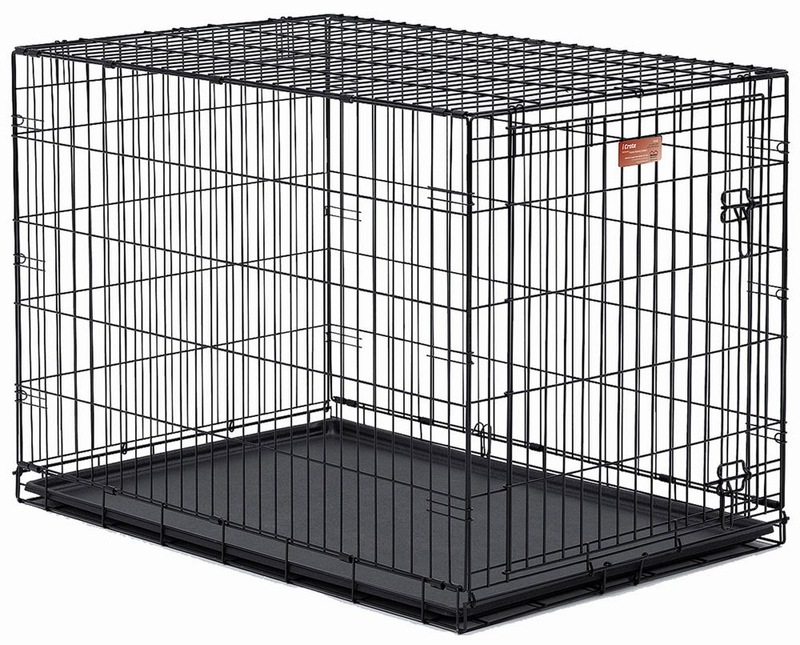 You can expect to pay between $50 - 125 for a quality crate for a medium to large dog. While it may sound like a lot, a good crate will outlive several dogs and quickly pays for itself in peace of mind and undamaged carpets, furniture and belongings. How does a crate make housebreaking easier? takes advantage of this natural tendency and helps the puppy to learn to control himself in between trips outside. During the first few months, puppies require almost constant supervision, something that's hard to do with our busy lifestyles. Using a crate helps you to prevent accidents when you can't watch your puppy every single minute. Housebreaking is easier to accomplish when accidents are prevented in the first place, rather than correcting the puppy afterward. Using a crate, a place that the puppy is naturally reluctant to use as a bathroom, combined with a regular feeding and exercise schedule will make housebreaking go faster as well as saving your carpets and your sanity! Go HERE for the complete article. Great points! We don't crate our current dog, but we have crated in the past. I think it depends on the dog as well! So true Heidi...I should of also added that to my post. Very good points. It needs to be a resting place, not a bad place. I know Debbie some people only use a crate as a means to punish - that is NOT good.